All right, so it won’t charge your iPad and doesn’t come with Wi-Fi, but it does pretty much everything else related to its function. 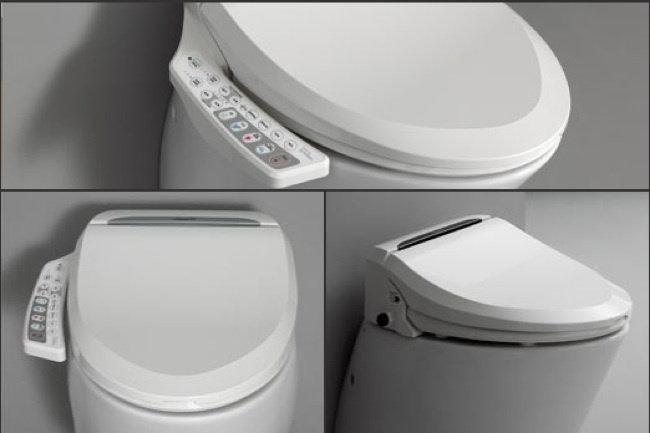 This wall-mounted wonder of a computerized toilet from New Line Italia is made of plastic that guarantees a maximum germ free environment for your bottom to rest on plus an seat with an adjustable heat-level, a cover that automatically opens, and a control panel for its awesome functions that include air/water drying. It also self cleans. Whoever engineered this made a point to revolutionize its shape; it sticks to the wall to free up floor space so it won’t intrude on other bathroom fixtures like the tub or the sink. As if having almost as many functions as R2D2 weren’t enough, the eLoo is energy friendly and removes the need for toilet paper. Go ahead and drop by the official site for instructional videos and additional info.